COLUMBUS, OHIO (USA). 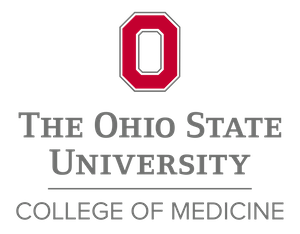 The Department of Pathology and Laboratory Medicine at Nationwide Children's Hospital (NCH) and the Department of Pathology at The Ohio State University College of Medicine seek an academic pathologist at the level of assistant, associate or full professor to join one of the largest pediatric pathology and laboratory medicine departments in the United States. The successful candidate will join an experienced professional staff of approximately 30 pathologists and doctoral scientists. Building upon an already premier program, the candidate has the opportunity to grow the academic mission of the department by providing excellent clinical care, education and/or research. The successful applicant should be accomplished or willing to develop expertise in one or more areas of surgical pathology to include cardiac pathology, pulmonary pathology, perinatal pathology and/or transplant pathology. The position will provide assistance to the Department's anatomic pathology laboratory, active learning curriculum for residents, graduate students, pathology fellows, and consultative services and Outreach Program. Qualifications include board certification or eligibility in pediatric pathology. The Department of Pathology accessions over 10,000 surgical specimens, over 1000 cytology specimens and performs over 100 autopsies per year. The clinical laboratories have a volume of >3 million tests per year and include a robust outreach program. The Institute for Genomic Medicine clinical laboratory processes 7,000 specimens a year and is integrated with clinical laboratories and the Research Institute. An active ACGME accredited fellowship program in pediatric pathology is an integral part of the NCH Department of Pathology and Laboratory Medicine. Ranked in the top 10 children's hospitals on U.S. News & World Report's 2018-19 'America's Best Children's Hospitals Honor Roll,' Nationwide Children's Hospital is the nation's largest not-for-profit freestanding pediatric healthcare network. To build a diverse workforce Ohio State encourages applications from individuals with disabilities, minorities, veterans, and women. EEO/AA employer.